Hollywood Celebrities Are Lining Up for the Youth Breakthrough of the Decade! A-list celebrities have paid more than $200 an ounce for a youth formula so fabulous they are skipping their injections. Instead they are using a cream that features a synthesized Snake Venom on their eyes, lips and foreheads. Now you, too, can enjoy the same results – but at a fraction of the cost with amazing BioVen. It’s the topical alternative to Botox® injections – but BioVen causes no frozen smiles, no expressionless eyes and it uses no dangerous toxins. As muscles relax, old age lines diminish, and BioVen helps prevent the formation of new ones. BioVen’s exotic formula includes synthesized venom of the Temple Viper from Malaysia. It also contains collagen, elastin, youth peptides and anti-oxidants your skin needs to look younger, healthier and fresher. With regular use, you’ll look younger today – and younger for life. Plus you won’t be paying $200 an ounce. Start to feel and see the effects on the very first day…with full results after 4-5 weeks. When clinically tested, 100% of participants experienced significantly smoother skin. Use just once a day – enjoy the results Hollywood celebrities are raving about. 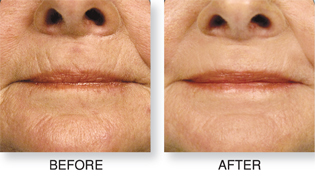 * Botox is a registered trademark of Allergan and is not related to BioLogic Solutions. Massage over entire face each morning or evening. Can be applied under make-up.